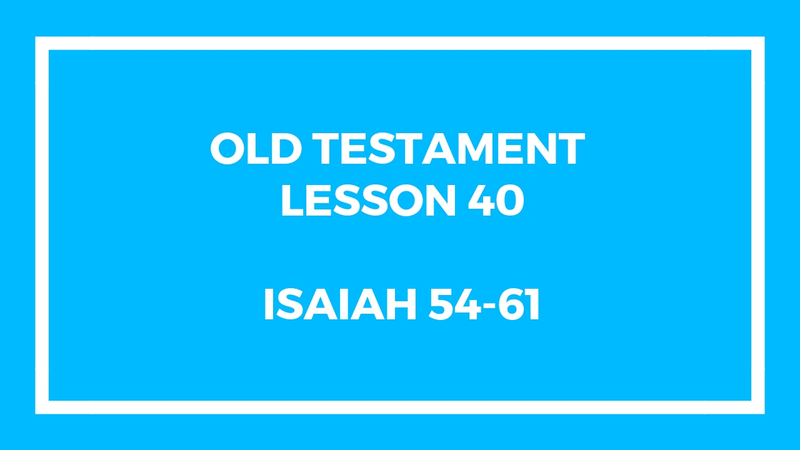 This lesson is about the Book of Isaiah in the Old Testament. This is the last lesson about Isaiah. In this episode, we review Chapter 54-61 of the book of Isaiah in the Old Testament. We are almost done with the Old Testament lessons, only 8 more to go and we’re done for the year! If you would like us to continue to produce the material to help you in your LDS Sunday School Class, let us know in the comment section below. This entry was posted in Gospel Doctrine Helps and tagged 2018 old testament class, gospel doctine, gospel doctrine class, gospel doctrine helps, Lesson 40: “Enlarge the Place of Thy Tent”, old testament on October 2, 2018 by admin.